Black Country House was originally the headquarters of Accles and Pollock; famous for the world’s first all-metal aircraft, the Mayfly. The company moved to the site in 1902, from where it grew to become one of Britain’s foremost tubing manufacturers. 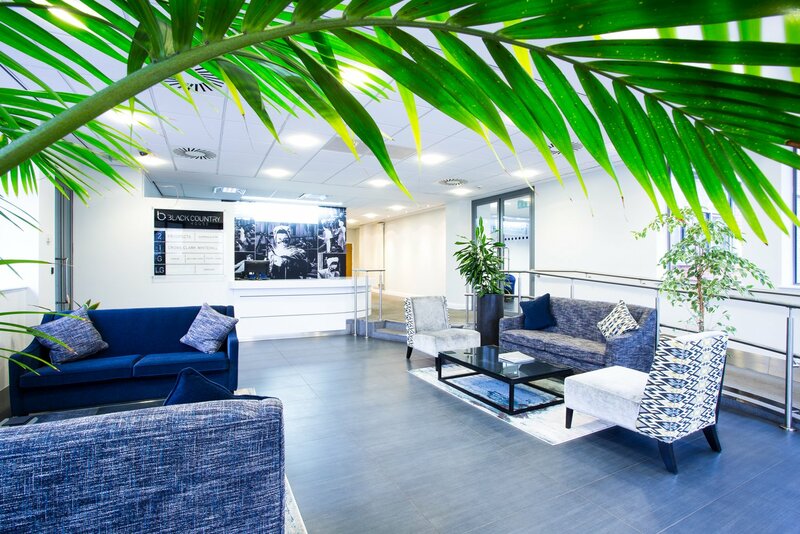 Goold Estates acquired Black Country House in 2009, transforming the building through a £2m refurbishment project, including: a new façade, windows and high-quality reception area, providing 36,252 sq ft of high quality office space. The first phase of works completed in August 2011, with the accountancy firm Crowe (previously Crowe Clark Whitehill) moving in immediately, opening a new business centre for the Midlands, taking 10,756 sq ft. Other occupiers now include: Otis Lifts, Prospect Services, Fuselek ltd and Free Radio. The building has a variety of features such as raised access flooring, air conditioning, suspended ceilings with LED lighting and new double glazing. The refurbishment also included a new insulated pitched roof, new passenger lifts and re-surfaced car park.